'Feather' Fluorite gold and silver ring detail. 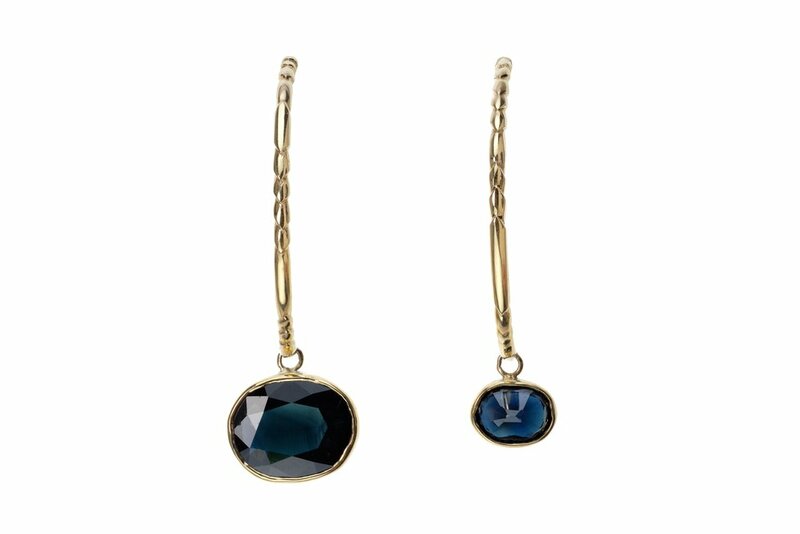 ‘Feather’ Half Hoop 9ct gold and sapphire. 'Feather' Flourite gold and silver ring. 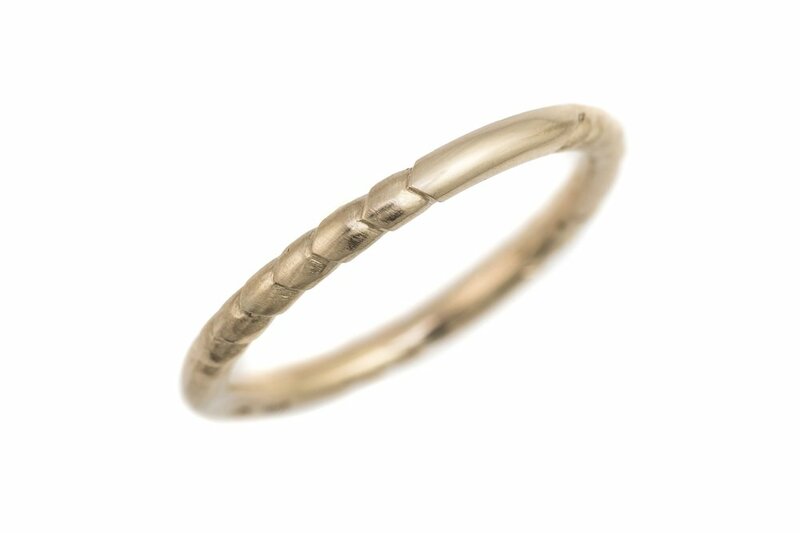 'Feather' 9ct yellow gold hand carved thin band. 'Feather' Oxidised silver medium D shape band. 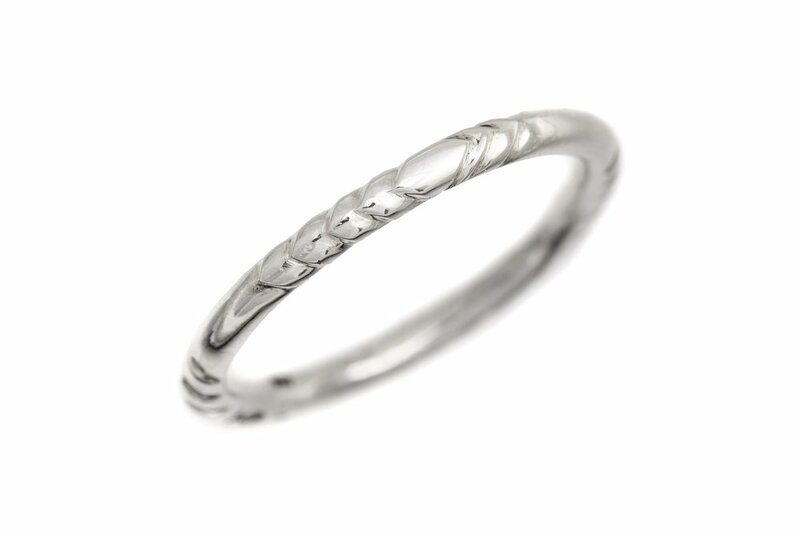 'Feather' silver hand carved thin band. Horse Ring - silver, 22ct gold, sapphires and white Dartmoor horse hair. 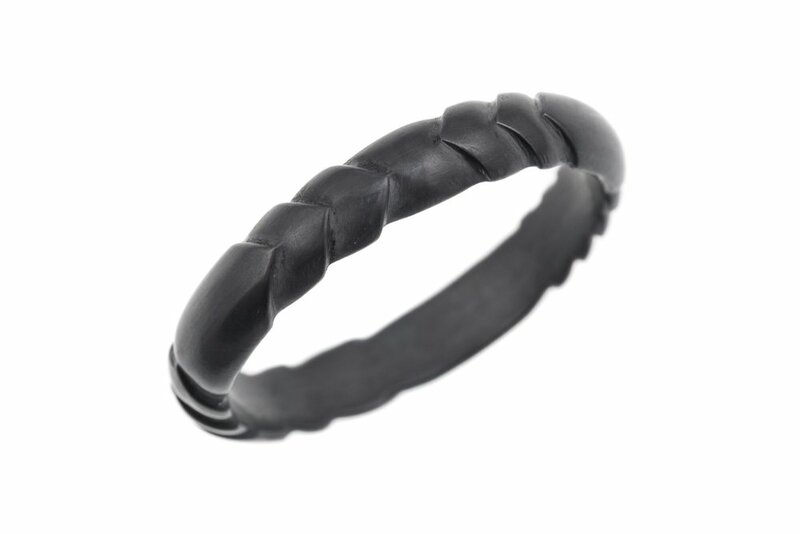 Horse ring - Hand carved, silver, black diamond and brown Dartmoor horse hair.